Wooden toys are not a thing of the past like some may think! 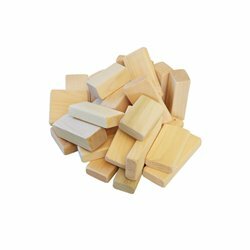 Building blocks are a great way for small children to work on and perfect hand-eye coordination! It's time to start making memories again! *Please check the actual photos of the items for the actual stencil pattern that is used on each piece. This item ships UPS or FEDEX.